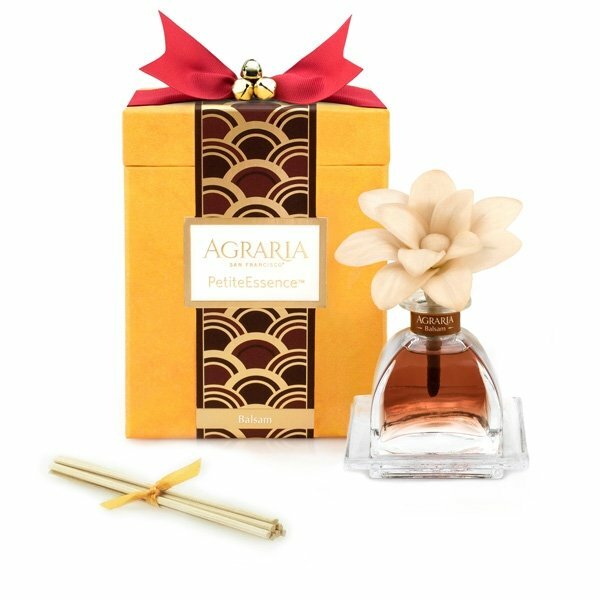 Agraria Balsam Petite Diffuser is a refreshing and luscious marriage that combines the essence of sweet balsam California redwood, a hint of French sage and the bouquet of white flowers. Each Petite Diffuser includes one flower handmade with thin slices of sola wood. As the perfumed essential oils are absorbed through the cotton wick, the petals will change to the color of the oil and stay fragrant up to six months. The individually boxed Petites are perfect gifts and an excellent way to add a spot of fragrance to your home or office. As an alternative to the sola flower, 7 Diffuser Reeds are included in the gift box, along with a glass tray.